This is an alternative to a regular order of operations worksheet. 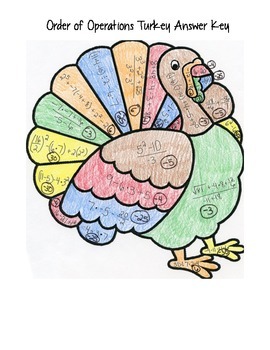 Students will solve the problems in the picture and color the section the appropriate color. This is great for a time filler, sub plans, Halloween math activity, or as an alternate worksheet. Order of operations problems are appropriate for 7th and 8th grade level with squares, square roots, and integers.